Did you buy a special piece of Jewelry in Florida for your loved one? Get it insured! A typical homeowner’s policy only covers jewelry up to $1,500. As soon as the ring is in your possession, it is time to protect it by adding a scheduled jewelry endorsement to your homeowners insurance or renters insurance policy. One important note: If you and your significant other don’t live together, the insurance question can become a little more complicated. As long as the ring is still in your possession, the ring can be insured on your homeowner’s or renter’s policy. But as soon as you propose – and give the ring to your fiance – it becomes hers, and must be insured on her homeowner’s or renter’s policy. When in doubt, just give our office a call. Coverage is available for less than $12 per $1,000 value. Simply hold on to your receipt, or obtain a professional appraisal to determine the value of the item. Your team at Most Insurance Agency can help you take care of all the rest. Did you know that 70% of all personal property claims involve jewelry? The good news: Jewelry is usually covered up to $1,500 per item on a standard homeowners insurance or renters insurance policy. And if an item is scheduled, no deductible will apply to your loss! 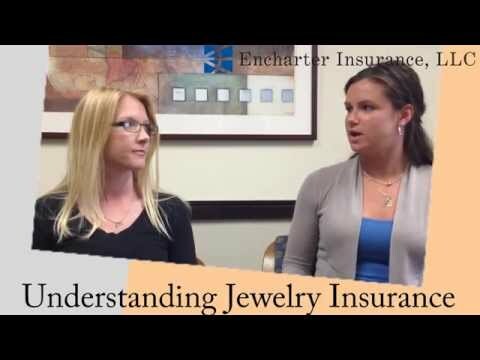 Please give us a call at 813 739-8111 for more information about jewelry insurance cost.